Angelina Jolie has her eyes set on one of the most historic homes in Los Angeles. The Maleficent star has offered $25 million in a bid to buy late director Cecil B. DeMille's Los Feliz mansion and the deal is set to clear the bank. Hot off headlines of her split with Brad Pitt, actress Angelina Jolie is hoping a multi-million dollar offer will keep her close to Hollywood – and it looks like she's got her wish. Jolie has laser-focused in on a massive estate belonging to the late filmmaker, Cecil B. DeMille, one of the founders of the Hollywood motion-picture industry, offering an amount reportedly very close to its $24.95 million asking price – and according to E! News, the estate has accepted. DeMille bought the property in 1916 for $28,000, a far cry from Jolie's record-setting offer for the prime piece of Laughlin Park real estate. The historic property, now in escrow and set to pass hands to Jolie, sits about a mile from the home in the Oaks neighborhood that the Oscar winner once shared with Pitt. Jolie's massive buy is set to break any and all real estate transaction records in Los Feliz, where the most expensive sale to ever close centered around an $11 million mansion scooped up by comedian Chris Hardwick and heiress Lydia Hearst. The steep price tag may be better in the long run than Jolie's previously reported home, as the actress was said to be holed up in a Malibu beachfront rental priced at $95,000 a month. Built in 1913, the Beaux Arts style mansion and the surrounding acreage once belonged to the Hollywood pioneer whom the very street is named after – Cecil B. DeMille – until his death in 1959. As such, its very reputation surpasses its already titanic size. The massive home comes jam packed with six bedrooms, 10 bathrooms, an in-home gym, a large library, and is fresh off of a multi-year $500,000 restoration project by the current sellers, according to Town & Country. The sizable lot offers just as much glamour on the outside as it does within the historic mansion. Jolie and her six children will have plenty of room to stretch their legs at their new Los Feliz home. The lot comes with a pool and accompanying pool house, a separate studio, multiple decorative fountains, a network of rose gardens, and a seemingly endless array of lush rolling lawns. 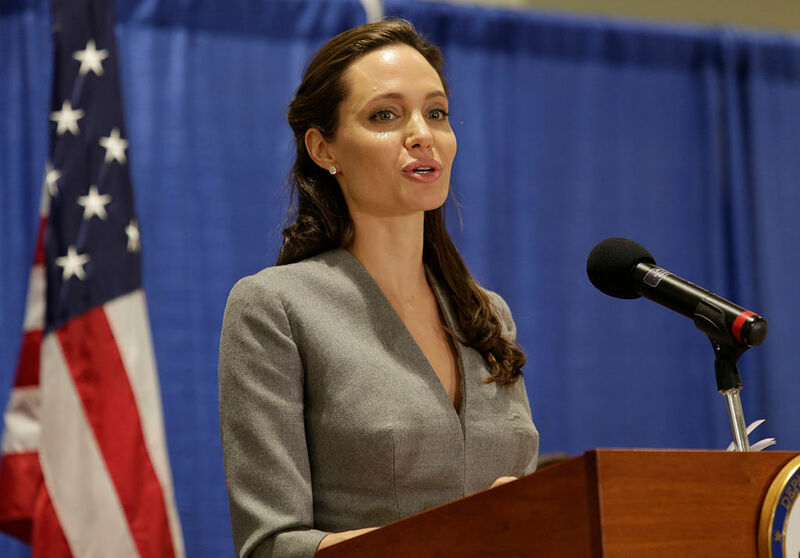 Actress Angelina Jolie has accumulated a notable portfolio of acting, directing, and producing credentials throughout her career, amassing a $160 million net worth in the process. The actress' DeMille mansion grab is her biggest public purchase yet and will likely influence her growing net worth in the years to come.